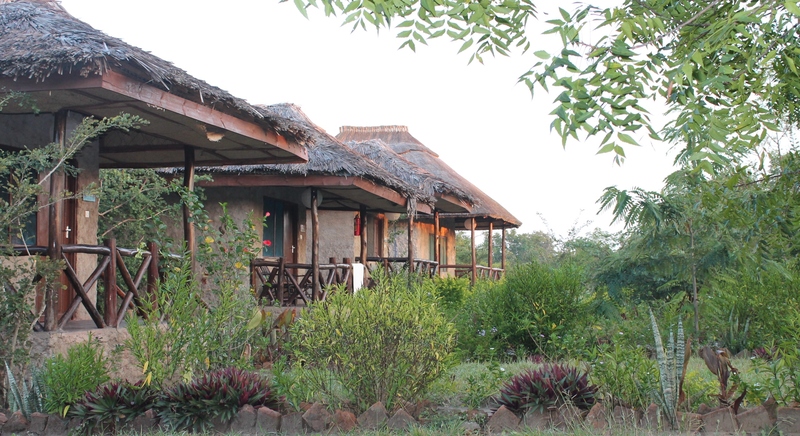 Camp Bastian: located outside the park & consists of 6 cottages and a camp site which has a private verandah and is decorated with locally made furniture and fabrics in order to keep an authentic atmosphere in the rooms. The camp en-suite cottages, en-suite superior chalet, 3 en-suite bedroom family cottages, budget cottage room & camping. The cottages and the campsite are all located within the unique and natural settings of Camp Bastian, so no matter which type of accommodation you choose, you will wake up listening to uninterrupted sounds of beetles, crickets and birds. Enjoy local Tanzanian fresh food as the vegetable are grown in own garden. The bar offers a wide range of wines, spirits and soft drinks.